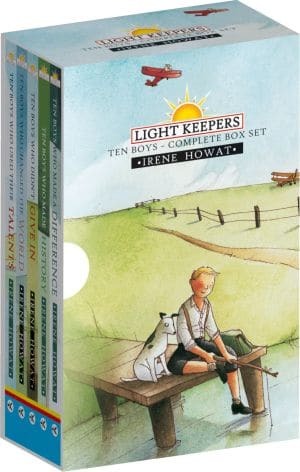 By far, your best buy on the best-selling Lightkeepers set! 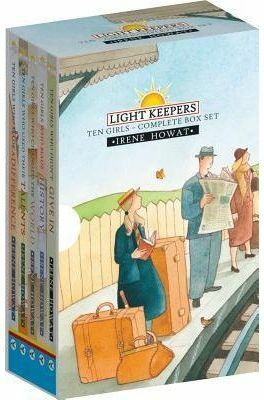 Now in a Slipcase / Boxed Set of all five (5) books – at a better price than ever. 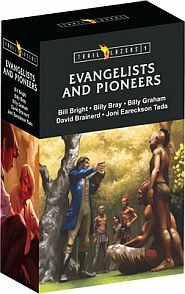 Boys Box Set: 50 biographies of men in Christian history! Look at all the lives covered in this fantastic set! 50 lives in all! Nate Saint – James Chalmers – Dietrich Bonhoeffer – Polycarp – Graham Staines – Thomas Cranmer – George Wishart – Alban – Sir John Oldcastle – Ivan Moiseyev – John Knox – Augustine – Martin Luther – John Calvin – Jan Hus – Hugh Latimer – Lord Shaftesbury – Thomas Chalmers – William Tyndale – Ulrich Zwingli – Robert Murray McCheyne – Charles Spurgeon – Martyn Lloyd-Jones – George Whitefield – A. W. Tozer – John Owen – D. L. Moody – Samuel Rutherford – Jonathan Edwards – Billy Sunday – Paul Brand – Ghillean Prance – C. S. Lewis – John Bunyan – George Washington Carver – C. T. Studd – James Clerk Maxwell – J. S. Bach – Wilfred Grenfell – Samuel Morse – Billy Graham – Brother Andrew – John Newton – George Muller – Luis Palau – Adoniram Judson – Eric Liddell – Nicky Cruz – David Livingstone – William Carey. 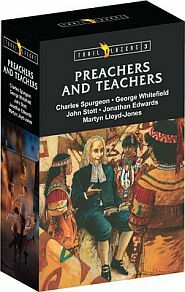 Each book includes the story, fact files, prayer suggestions, quizzes.